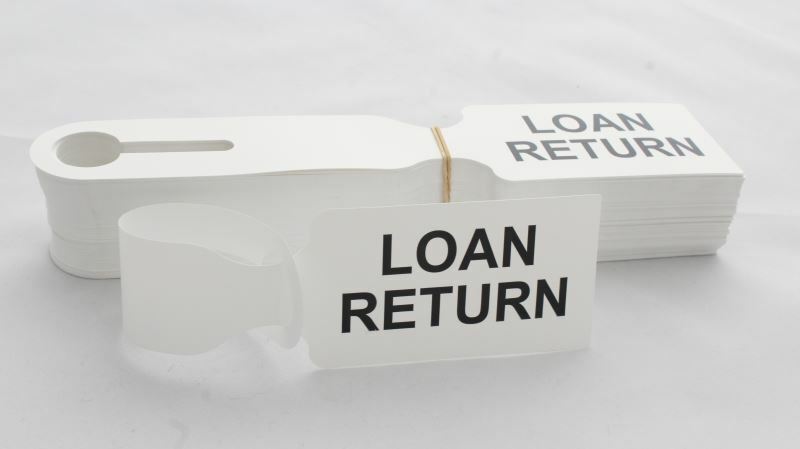 Light plastic tags 5.5″ in green and red for sealing boxes, transport trolleys and trolley covers. 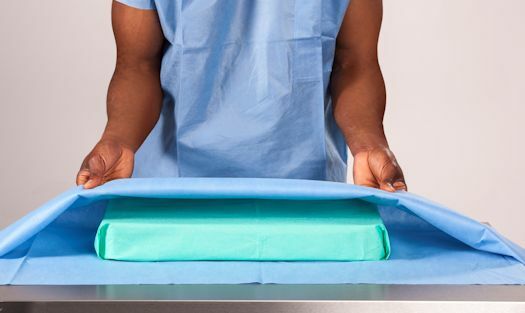 Foldable scored card for use on the corners of Instrument Baskts to prevent damged to Tray Wrap during Sterilization and Transportation. 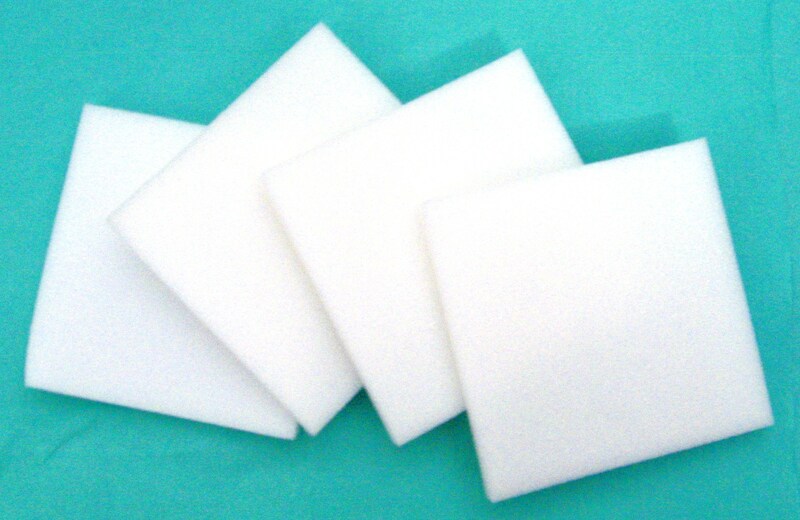 Sponge for use on the rubber feet of Graphic Containers to prevent damage to Tray Wrap during Sterilization and Transportation. 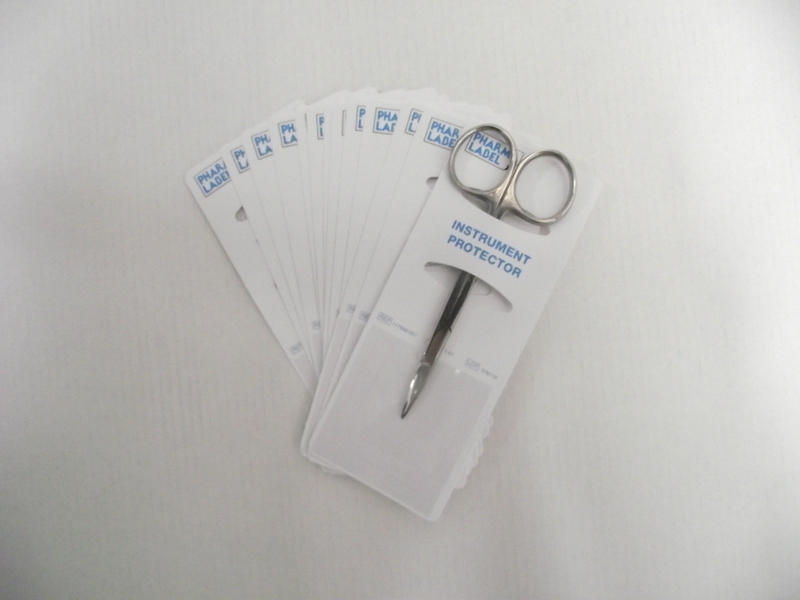 Film backed card for the insertion of fine tipped instruments (such as gillies skin hooks) to prevent damage to the instruments and to protect processing personnel and the end user from injury. 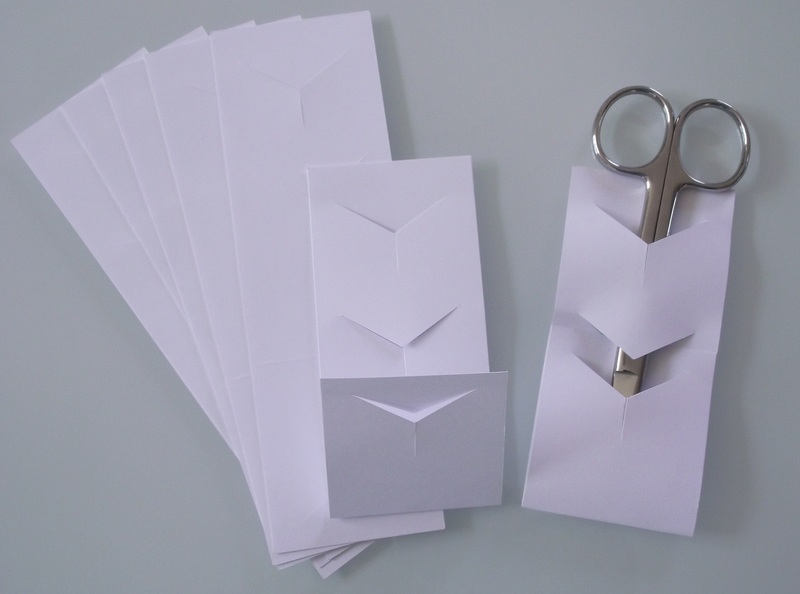 Scored and die cut paper to fold and insert fine tipped instruments to prevent damage to the instruments and to protect processing personnel and the end user from injury. 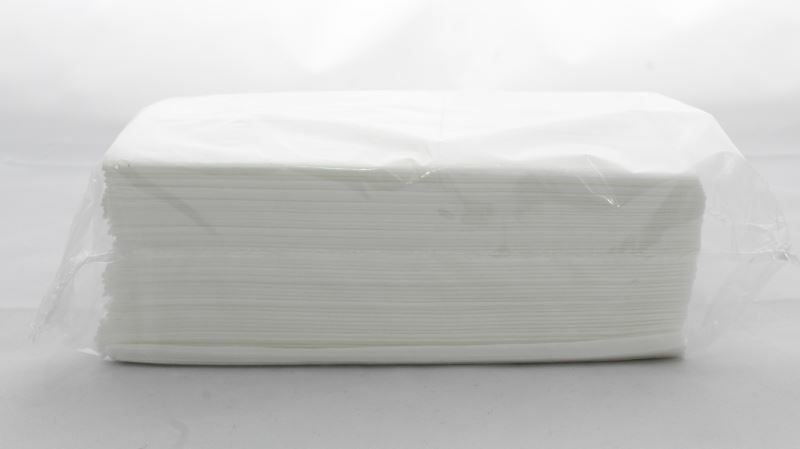 Steam autoclave tapes with steam indicator ink will react positively when subjected to heat and moisture in the steam autoclave. 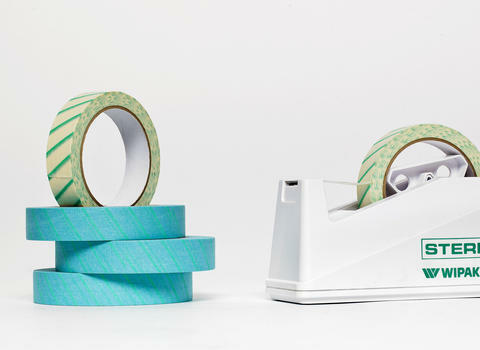 By the influence of the sterilization conditions the green stripes printed on the tape will change colour from green to dark brown/black. The usual time/temperature conditions are 3 minutes at 134°C or 15 minutes at 121°C. 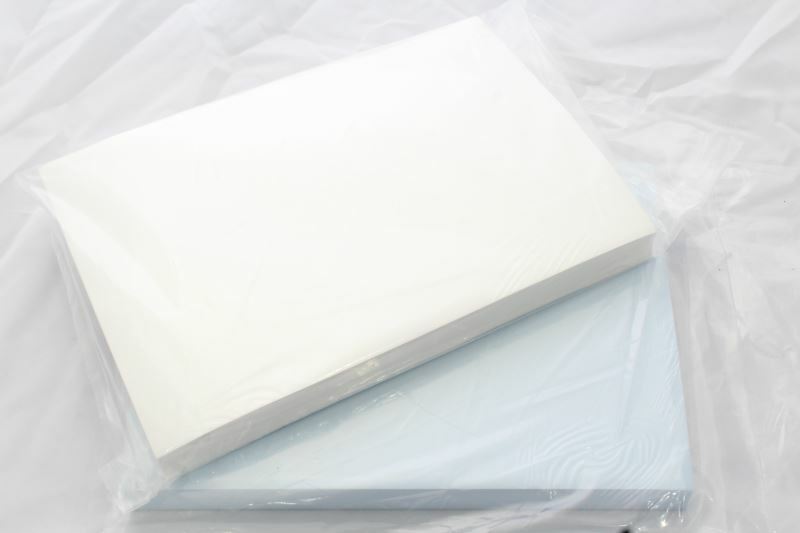 A4 bonded paper suitable for processing through automated washers. 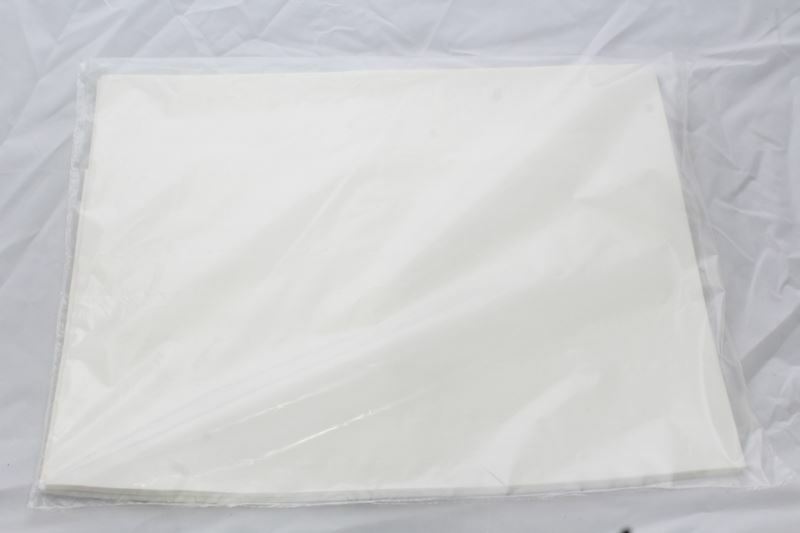 Washable Paper is available in Blue and White. 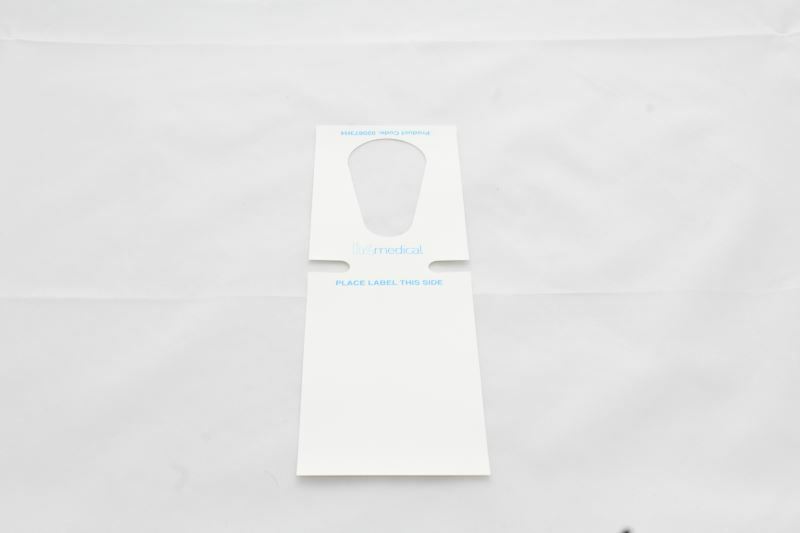 Magnifying Glass with Circular Bulb for Inspection of fine instruments and medical devices. 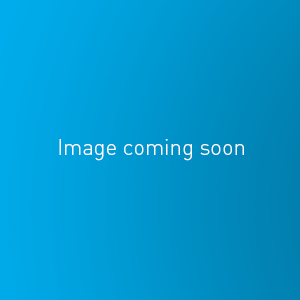 3 Pin – UK type plug and Clamp for desktop fitting. 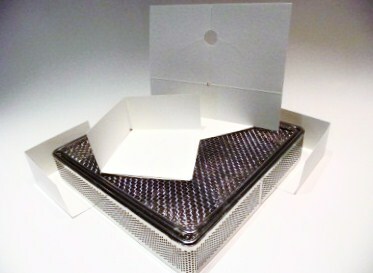 Tray Liner for different sized trays. 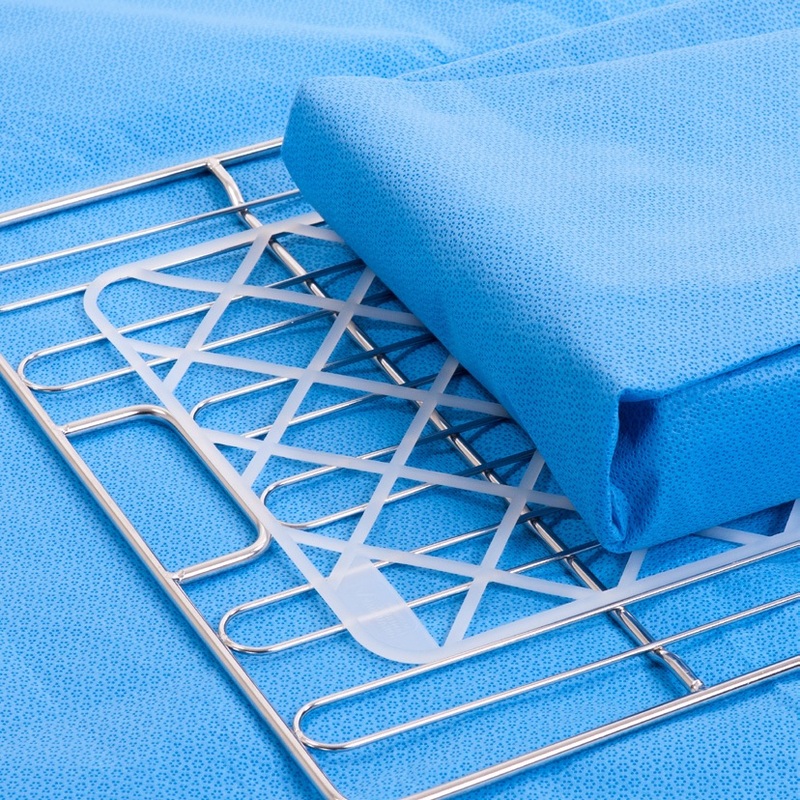 Non Woven Tray Liner for different sized trays. 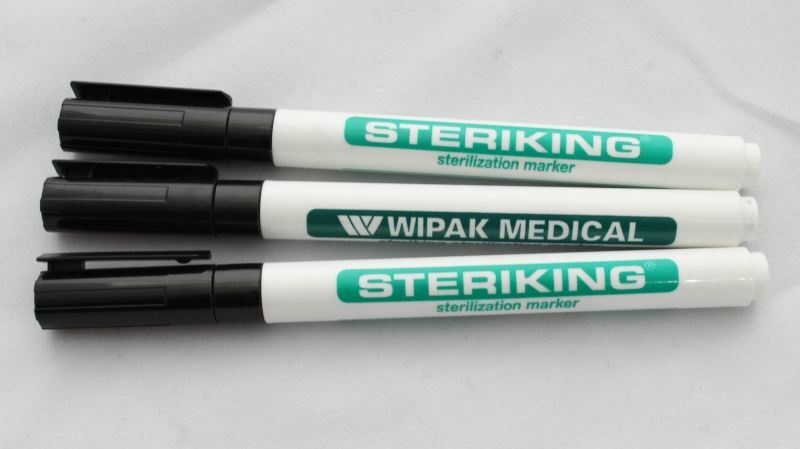 Sterilization Utility Marker. Available in Black and Red. 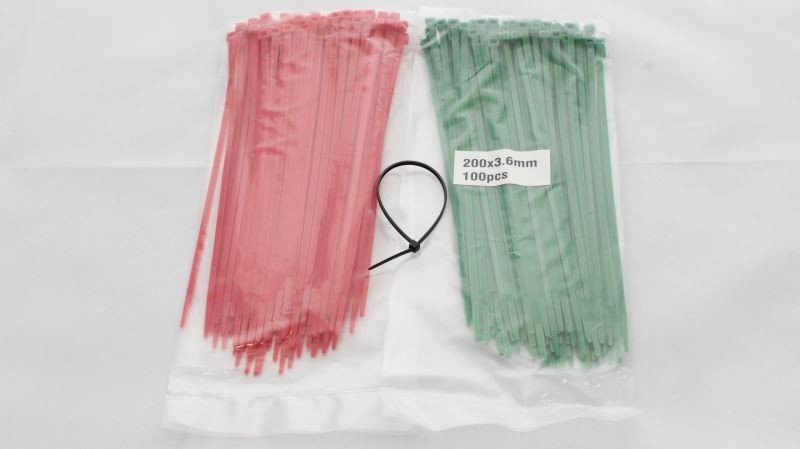 Non Re-opening cable ties. Available in different sizes and colours on request. 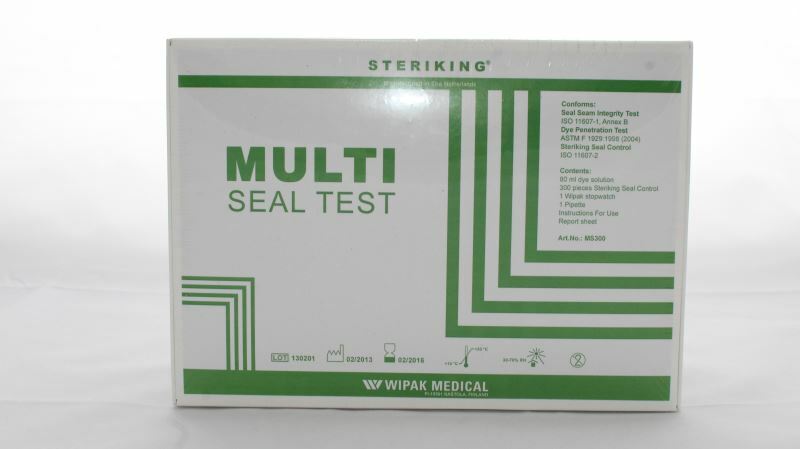 For testing the integrity of the seal made by any rotosealer units. 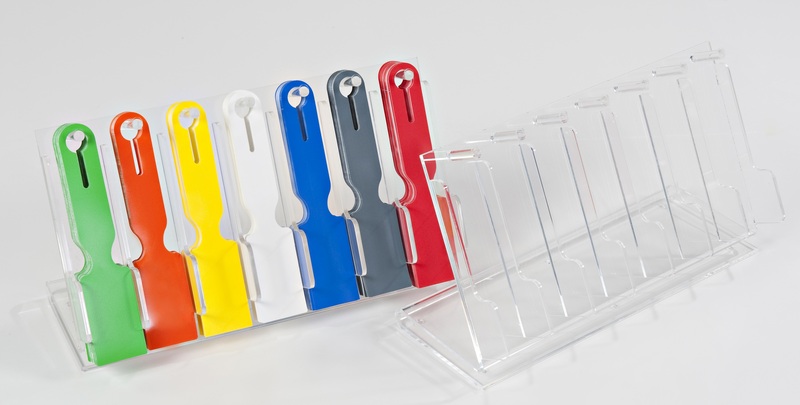 Available in different grammages, colour combinations, sizes and materials.